Got weak faith? Here’s good news! One of the joys of serving at PBC has been our Sunday night Bible study. I will occasionally use this blog to share recaps of what we’ve been studying. That way, even if you can’t join us in person, you can study along with us online. Though we cover much more than I can share in a short recap, I hope nonetheless you’ll be encouraged. The following is a brief summary of the high points of last night’s study of Genesis 17. God’s “impossible” promise. Abraham’s imperfect faith. Even though Abram is held up in the Scriptures as a man of exemplary faith, a model that we should strive for, even Abram had his struggles. We’ve seen this several times already as we’ve followed his story. His faith wavered in Genesis 12 when, despite God’s promise to Abram of posterity and that he would possess the land of Canaan as a dwelling place, he panics when famine hits Canaan and he flees to Egypt, weaving a web of deceit the whole time because he feared Pharaoh. We see Abram waver in Genesis 15, as, after many years, he remained childless and therefore was ready to adopt his chief servant as his heir. God graciously reassured Abram that his heir would not be a son through adoption, but would come from his own body. 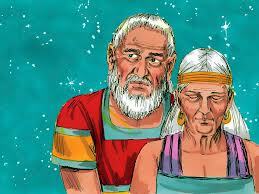 And of course, we see Abram waver big time in Genesis 16 as he listened to the desperate voice of Sarai and brought Hagar into the picture. But his struggles don’t stop there. In the Scripture we looked at last night, in Genesis 17, God reaffirms His original promise to Abram. In fact, God changes Abram’s name to Abraham which means father of a multitude. The problem is that Abraham is 99 years old and he’s got only one child from an illegitimate marriage. He is past the time of fertility. And of course, Sarai has not only remained barren but is now 89. Abraham is fixed on Ishmael, and in his brain he’s thinking that this boy should be the one to inherit God’s promises. It’s not that Abraham doesn’t love God and is abandoning God. 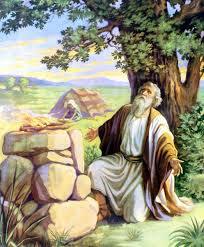 Rather, Abraham is looking at his circumstances and judging reality based on what he sees and what is humanly possible. He’s old, she’s old and barren. This is impossible! And that’s precisely the point. Before God reminds Abraham of His incredible promises, He reveals to Abraham a name that He hasn’t revealed before. In the very first verse of chapter 17 God reveals His name to be El Shaddai. In English this means “God Almighty.” It is no coincidence that God reveals this incredible name to Abraham at this most critical juncture in the story. If God is all mighty that’s another way of saying He is all powerful. And if God is all powerful that means He can do anything He wants to do. And if He can do anything that means God can do things that, from our perspective seem impossible. This was good news to Abraham who has to believe that something humanly impossible is going to take place, namely, he and Sarah having a son. And the fact that God is El Shaddai is good news to us too. And remember, the only way that God can keep these and other amazing promises He has made to us is because He is truly El Shaddai. God is so kind and gracious to Abraham. Several times we have seen Abraham struggle and even fall flat on his face. We see again his struggle in chapter 17, where, even after God has been so faithful in blessing Abraham in many ways over the years, and even after He reveals Himself as El Shaddai, and even as God reaffirms His commitment to keep His promises, Abraham still struggles. To himself, he laughs. 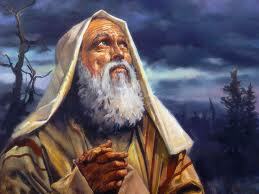 To God, he suggests Ishmael be the child that inherits the promises. And yet God is so gracious. He doesn’t punish Abraham or deride him for struggling. God is gentle and kind and gracious. God gently but straightforwardly reaffirms His commitment to keep that promise and follows through a year later. One thing we learn from the story of Abraham is that God’s commitment to bless us and do us good and keep His promises to us is not dependent on our ability to be faithful. Thank God for that! Otherwise, we’d be in a heap of trouble because we struggle all the time, don’t we? And yet we don’t have to live in fear that God will let us down despite all the times we may have let him down. God knows that we struggle, and our faith does not have to be perfect for Him to work. We believe, help our unbelief! And what does Jesus do? Does He walk away? Does He scorn the man and tell him to come back when his faith is perfect? No. He grants the man’s request. Jesus is not hindered by our weak faith. Jesus is not waiting for us to have perfect faith before He moves. Indeed, the man’s confession to Jesus that He believed but needed help with lingering unbelief is in itself a great act of faith. The man is throwing himself down before the mercy of Jesus, recognizing that he in and of himself brings nothing to the table and realizes that even his faith is not of himself but is granted to him by God. I think that God loves it when we pray, “I believe, help my unbelief!” It is a beautiful and humble display of trust in the Lord and not in ourselves. God will work and God will move in spite of our weaknesses. 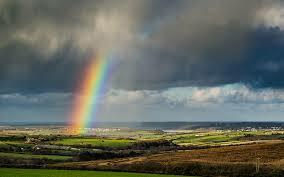 And God will keep all of His promises to you because His faithfulness far exceeds yours and mine. And He has the power to keep every promise, including those that seem impossible. He is El Shaddai, after all. 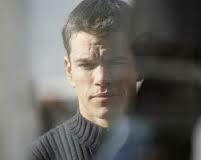 I n the movie “The Bourne Identity”, you have a man who wakes up out of unconsciousness to discover that he has no idea who he is. He doesn’t remember anything about his life, his past, his friends, his enemies. Everything, even his very identity is forgotten. As the story progresses this man discovers that he has certain skills and certain abilities and certain resources that he totally forgot about. It turns out this man was a Black Ops secret agent working for the government and he spends the rest of the story trying to piece together and recover his forgotten identity. The movie is not believable in a lot of ways but there is one thing about the movie that’s true. Your identity is important and what you believe your identity to be changes everything. 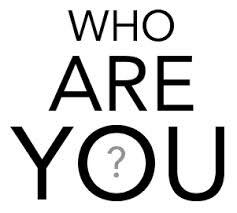 Who you think you are will play a major factor in how you live your life. If your identity is bound up in being a mom and you view that as the core of who you are, that’s going to have implications in what you do, the choices you make, your priorities, and so on. And while being a mom is great, what happens when your kids don’t turn out the way you want them to? What happens when your kids leave home? What happens when your children become more important than God? If your identity is bound up in your job, that’s going to have major implications. In fact, survey the wreckage of thousands of broken homes and divorces for proof of the consequences of having that kind of identity. What’s more, what happens if you lose your job? If you hate your job? There’s a big debate raging about gay marriage in our country right now. If the core of your identity, the core of who you are is bound up in your sexual orientation and your sexual urges, that’s going to have ramifications and it will affect the choices and decisions you make. We Christians have a hard time getting identity right. And often our identity is bound up in the wrong things. We tend to anchor our identity in people or places or earthly things instead of in Jesus Christ and when the essence of our identity revolves around anything other than Christ we have moved into idolatry and we are worshipping something else. Author Paul Tripp says that we suffer from Identity Amnesia. We’re like spiritual Jason Bournes. Identity Amnesia is misunderstanding and replacing our identity in Christ. And Tripp goes on to say that, As a believer, when you have confusion of identity you…are a sitting duck for sin’s insanity. Identity matters. Who you think you are matters. It will affect your life, your marriage, how you handle temptation, disappointments, and challenges. This is a big deal. You have new gifts and abilities. 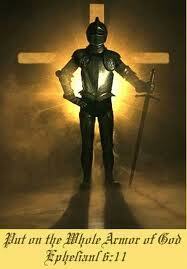 (1 Cor 12:1-11) You are a spiritual warrior with brand new enemies and brand new resources to conquer them. (Eph 6:10-18) And all of these things about your new identity have radical and drastic implications for how you live, how you do marriage, how you parent, and how you work. All of those aspects of your life are now meant to revolve around who you are in Jesus and your responsibility to image God your Father to the world. In a nutshell, when you become a Christian, you become a brand new person. The Scriptures tell us that you have put off your old self and have put on the new self. 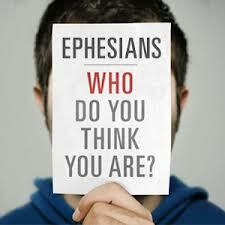 (Eph 4:20-23) The Bible says if you are in Christ, you are a new creation. 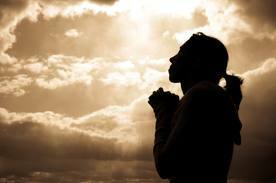 (2 Cor 5:17) A Christian whose life is no different after his conversion than before isn’t a Christian. It doesn’t mean Christians are perfect. We still battle and sometimes succumb to our old sinful tendencies and the devil’s schemes (1 John 1:8) but nevertheless, if you are a Christian, something profound has happened, and you are no longer what you once were. And knowing this can make all the difference in the world as you wrestle against sin and Satan. 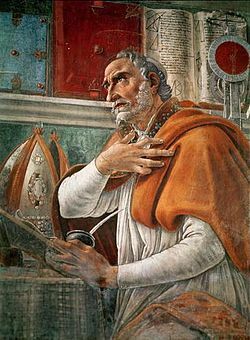 I love the story of Augustine, the fourth century believer and Bishop of Hippo in North Africa. Before he came to Christ, Augustine lived a sexually immoral and lustful life. One day, after his conversion to Christ, a potential moment of temptation came. He happened upon a former mistress on the street. He recognized her, turned around, and quickly went the other way. She called out to him, “Augustine, it is I!” Many men might be confounded about how to resist such a temptation. How did Augustine respond? In that moment, Augustine did not have Identity Amnesia! On the contrary, he remembered who he really was in Jesus Christ. He was not the person he once was. Though he was once darkness, now in Christ he was light, and, as Paul exhorts us in Ephesians 5, he lived as a child of light, avoiding sexual immorality. What you believe about who you are inevitably influences how you live every day. 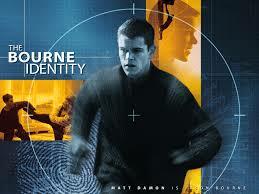 Jason Bourne was on a quest to discover who he once was. It’s different for believers. We are quite familiar with who we onc e were. The quest for you and the quest for me is to discover who we are now. Discovering that is a game-changer, because identity matters.